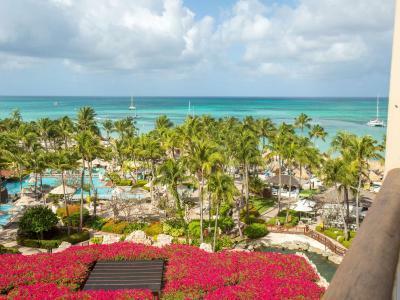 Lock in a great price for Hyatt Regency Aruba Resort & Casino – rated 8.8 by recent guests! Facility, location, people and beach were awesome! Everything here was perfect! The food, the drinks, & the room were amazing! Will stay here every time I visit. All water activities are right outside as well. Hotel presented exactly what we were looking for , able to relax, casino was clean and accommodating. The open air lobby feels like your on an island. The property landscape is beautiful. The beds are comfortable and clean. The hotel was central to everything. We were celebrating our 35th anniversary and the hotel surprised us with champagne, macaroons, and a very lovely card. The bed was very comfortable. The staff were so friendly and helpful. I will definitely be back! Loved the refined quiet elegance of this resort!! Lush tropical landscape and central proximity!! 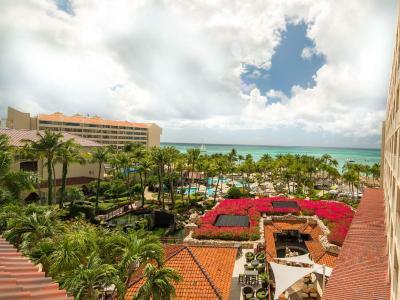 Hyatt Regency Aruba Resort & Casino This rating is a reflection of how the property compares to the industry standard when it comes to price, facilities and services available. It's based on a self-evaluation by the property. Use this rating to help choose your stay! One of our top picks in Eagle Beach.Offering an unrivaled oceanfront location, direct beach access, a full-service spa, exciting casino action and gourmet dining, this Palm Beach, Aruba resort provides everything needed for an unforgettable stay. The newly enhanced rooms at Hyatt Regency Aruba Resort Spa and Casino feature designs inspired by the teal blues of Aruba and welcoming furnishings that include 65” flat-screen TV, Hyatt Grand Beds and roomy bathrooms that feature stone and quartz. An endless variety of recreational activities can be found moments from the Hyatt Regency Aruba Resort and Casino, including deep-sea fishing, sailing and snorkeling. The resort also offers a spacious outdoor pool, complete with a waterslide. Guests at the Aruba Hyatt Regency can also relax with a massage or facial from the on-site spa, enjoy a yoga class or browse for gifts in the on-site shops. 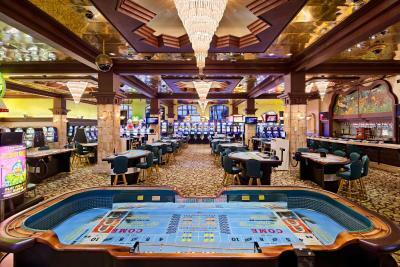 The resort's casino features live entertainment along with popular slot machines and card games. The 5,200 square-foot ZoiA Spa – meaning balance in Papiamento – houses 8 treatment rooms, many of which will offer an indoor and outdoor experience, and an extensive spa menu featuring luxurious treatments with locally grown aloe vera. You can enjoya cool Biba Dushi cocktail at Alfresco. 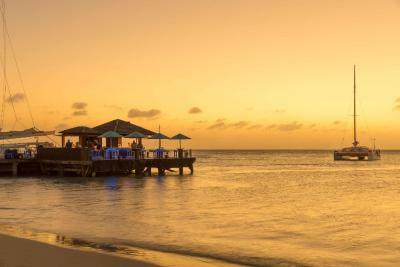 When would you like to stay at Hyatt Regency Aruba Resort & Casino? Inspired design that represents our crystal blue Caribbean Sea, this 380 square foot room features a king bed, private step-out balcony and inviting carpet that mimics the patterns of water rippling over sand. Surround yourself in island comfort from this 380 square foot room featuring two queen beds, private step-out balcony and inviting carpet that mimics the patterns of water rippling over sand. Look out to ocean and island views from this room featuring 380 square feet of space, two queen beds, and carpet that mimics the patterns of water over sand. Take in ocean and pool views from this room featuring 380 square feet of space, a king bed, and carpeting that mimics the patterns of water rippling over sand. Rooms are furnished with signature Grand beds. There is a flat-screen TVs as well as an iHome docking station. Unwind with views of the ocean and pool complex in this 380-square-foot room, offering two queen beds and carpet that mimics the patterns of the sea and sand. Relax in this spacious room featuring a king bed, furnished balcony, and stunning views of the garden and the Caribbean Sea. Relax in this spacious room featuring two queen beds, furnished balcony, and stunning views of the garden and the Caribbean Sea. Experience spacious comfort in this 819 square foot suite with a choice of one, two, or three rooms, private furnished balcony, sofa bed, and views of the expansive garden and pool area. This is a premium suite. See World of Hyatt program terms for upgrade eligibility. Relax and awaken refreshed in this spacious 849 square foot suite featuring a step out balcony views of the ocean and resort. The spacious suite includes a living room with sofa bed, work space area, wet bar, king bed, and children’s bunk bed. This is a standard suite. See World of Hyatt program terms for upgrade eligibility. Delight in the tropical views from this 380 square foot room featuring two queen beds, widows that open, and inviting carpet that mimics the patterns of water rippling over sand. Discover the beauty of Palm Beach from this spacious 658-square-foot room featuring a king bed, sitting area with chaise lounge, and furnished balcony with views of the Caribbean Sea. Relax and recharge with this room featuring two queen beds, 380 square feet of space, and access to the private Regency Club Lounge. Savor uncomplicated travel with Regency Club Lounge’s daily continental breakfast, afternoon hors d’oeuvres, evening dessert reception and complimentary house wine and beer. Relax with ocean and island views in this room spanning 380 square feet, featuring a king bed and carpet that mimics the patterns of water rippling over sand. Soak in ocean and island views in this 380-square-foot room featuring a king bed, wood plank tile flooring, and custom accents including large woven area rugs. Relax and recharge with this room featuring a king bed, 380 square feet of space, and access to the private Regency Club Lounge. Savor uncomplicated travel with Regency Club Lounge’s daily continental breakfast, afternoon hors d’oeuvres, evening dessert reception and complimentary house wine and beer. Rest easy in this ocean view, 380-square-foot room on the top two floors of the resort, featuring a king bed, wood plank tile flooring, and area rugs. Rest easy in this ocean view, 380-square-foot room on the top two floors of the resort, featuring two queen beds, wood plank tile flooring, and area rugs. This single room features a iPod dock and air conditioning. 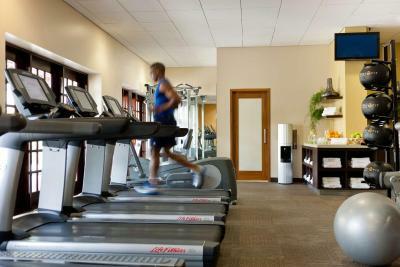 House Rules Hyatt Regency Aruba Resort & Casino takes special requests – add in the next step! Hyatt Regency Aruba Resort &amp; Casino accepts these cards and reserves the right to temporarily hold an amount prior to arrival. Hyatt Regency Aruba Resort & Casino accepts these cards and reserves the right to temporarily hold an amount prior to arrival.